According to sources, the meeting is slated to be held in the Parliament Library Building in the evening after the presentation of the Union Budget tomorrow morning by Finance Minister Arun Jaitley. 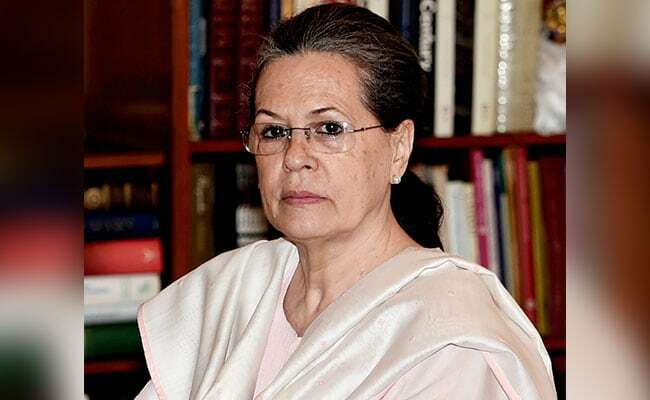 New Delhi: UPA chairperson Sonia Gandhi is likely to chair a meeting of opposition leaders tomorrow to plan a joint strategy for the ongoing Budget Session of Parliament. Hectic preparations are on to garner the support of all 17 parties that had come together during the presidential and vice presidential polls with Congress hopeful of a good gathering. Leader of Opposition in Rajya Sabha Ghulam Nabi Azad is taking the lead in inviting the leaders. Among the parties likely to attend tomorrow's meet are NCP, DMK, TMC, SP, NC, CPI(M), CPI, RJD, JMM, RSP, IUML, Kerala Congress. JDU rebels Sharad Yadav and Ali Anwar Ansari, NCP chief Sharad Pawar, Ram Gopal Yadav of Samajwadi Party and TMC's Sudip Bandyopadhyay are among the leaders expected to attending the meeting. West Bengal Chief Minister and TMC chief Mamata Banerjee today said she won't attend the meeting tomorrow due to other preoccupations. However, the party will be represented by Trinamool Congress parliamentary party leaders, she said. It remains to be seen whether JDS sends its representative to the meeting considering elections in another few in months in Karnataka where the Congress is facing anti-incumbency with the BJP mounting an aggressive fight. The presence of JDS in tomorrow's meeting is likely to signal future possibilities of a truck between the Deve Gowda-led party and the Congress. Crucial issues the instant triple talaq bill, the Supreme Court judges row and the recent communal clashes in Uttar Pradesh are likely to be discussed. 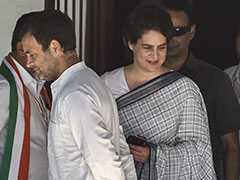 Congress President Rahul Gandhi is also likely to be present at the meeting along with top party leaders. Sonia Gandhi is, however, likely to chair the meeting in her capacity as Congress parliamentary party leader and the UPA chief. Tomorrow's meeting comes three days after Mr Pawar hosted some opposition leaders for tea at his residence in New Delhi. That meeting had skeletal opposition presence and it was therefore decided to hold another larger one post the Budget presentation. At the January 29 meet, Congress leaders Mr Azad and Anand Sharma had sought the involvement of Sonia Gandhi in galvanising the opposition. Mr Pawar had also met Sonia Gandhi and Rahul Gandhi that day after the president's address to the joint sitting of both houses of parliament at the start of the budget session.